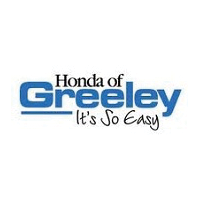 Honda of Greeley is proud to offer an inventory of 19 quality used cars from a variety of brands. We offer plenty of financing options, so you can find a payment that works with your budget. Our team works hard to secure the best rates and terms available, ensuring you get a car that you both love and can afford. Want to make your vehicle purchase even more affordable? Trade in your current vehicle! It's so easy at Honda of Greeley!2005 GMC Yukon Denali Silver Birch Metallic Denali AWD Vortec 6.0L V8 SFI 4-Speed Automatic HD with OverdriveYukon Denali, Vortec 6.0L V8 SFI, 4-Speed Automatic HD with Overdrive, AWD, 3.73 Rear Axle Ratio, 4-Wheel Disc Brakes, 60/40 Split-Folding Middle Bench Seat, 9 Speakers, Auto-leveling suspension, Autoride Suspension Package, Cargo Net, Cargo Package, Denali Package, Electronic Stability Control, Emergency communication system: OnStar, ETR AM/FM Stereo w/CD & Cassette, ETR AM/FM Stereo w/CD Player & Navigation, Front dual zone A/C, Front fog lights, Luggage Rack Center Rails, Power Tilt-Sliding Sunroof w/Express-Open, Rear air conditioning, Rear-Seat DVD Entertainment System, Speed control, Sun, Entertainment & Destinations Package, Tachometer, Tilt steering wheel, Trip computer, Voltmeter.Odometer is 46032 miles below market average!All used car prices include dealer and handling charge of $498. Come to www.HondaofGreeley.com To See Our Specials!!! Call us at 970-506-2791 For help with anything we offer. It's so easy at Honda of Greeley!2018 Ford Transit-350 XL Oxford White XL RWD 3.7L V6 Ti-VCT 24V 6-Speed Automatic with Overdrive12 Passenger Seating, 3D Medium Roof Wagon, 3.7L V6 Ti-VCT 24V, 6-Speed Automatic with Overdrive, 3.73 Axle Ratio, 3rd row seats: bench, 4th-Row Bench Seat, 6 Speakers, ABS brakes, Air Conditioning, AM/FM Stereo, Driver & Passenger Side Thorax Airbags, Electronic Stability Control, Exterior Parking Camera Rear, Front reading lights, Illuminated entry, Low tire pressure warning, Overhead console, Power door mirrors, Rear air conditioning, Remote keyless entry, Safety Canopy Side-Curtain Airbags, Tachometer, Telescoping steering wheel, Tilt steering wheel, Traction control.All used car prices include dealer and handling charge of $498. Come to www.HondaofGreeley.com To See Our Specials!!! Call us at 970-506-2791 For help with anything we offer. It's so easy at Honda of Greeley!2001 Acura RL 3.5 Premium White Pearl 3.5 FWD 3.5L V6 SMPI SOHC 4-Speed Automatic with OverdriveLIKE NEW, LOW MILES, RL 3.5, 3.5L V6 SMPI SOHC, Parchment w/Leather Seat Trim, 4-Wheel Disc Brakes, 8 Speakers, ABS brakes, Auto tilt-away steering wheel, Auto-dimming Rear-View mirror, Automatic temperature control, Electronic Stability Control, Four wheel independent suspension, Front fog lights, Genuine wood console insert, Genuine wood dashboard insert, Genuine wood door panel insert, Heated door mirrors, Heated Front Bucket Seats, High-Intensity Discharge Headlights, Leather Seat Trim, Leather steering wheel, Memory seat, Outside temperature display, Overhead console, Power driver seat, Power moonroof, Premium audio system, Security system, Speed control, Tachometer, Telescoping steering wheel, Tilt steering wheel, Variably intermittent wipers.All used car prices include dealer and handling charge of $498. Come to www.HondaofGreeley.com To See Our Specials!!! Call us at 970-506-2791 For help with anything we offer. HEMI Magnum 5.7L V8 SMPI. Why Buy a Pre-Owned Vehicle Near Ft. Collins?